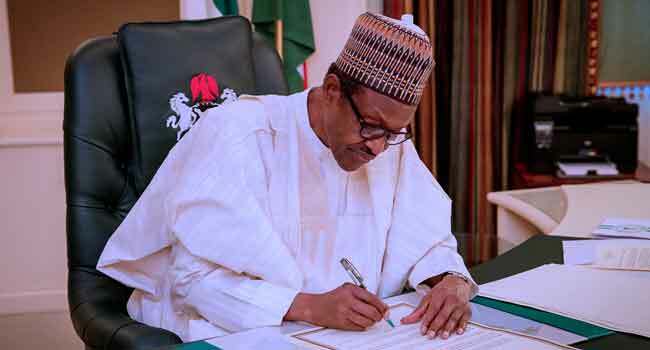 “The aggregate cost of the Nigeria 2019 elections is estimated at N242,445,322,600.00, but only N164,104,792,065.00 will be spent for urgent needs of the polls because of funds constraints,’’ President Muhammadu Buhari disclosed yesterday. In a letter read by Senate President Bukola Saraki to senators at the commencement of yesterday’s session, Buhari asked that the sum of N228,854 billion of the N578,319 billion worth of projects ‘inserted’ by the National Assembly into the 2018 budget be vired or converted for the purpose of funding the election. This will also fund N64,749 billion worth of critical projects, which the assembly had earlier cut off from the budget. The letter, tagged, ‘Request for Virement and Supplementary 2018 Budget’, reads: “As you are aware, the 2019 general election is scheduled to be conducted early in 2019. To ensure that adequate arrangements are made for free and fair elections, it has become necessary to appropriate funds to enable the relevant agencies to commence preparations. INEC and the security agencies have accordingly recently submitted their requests. He added: “In the light of prevailing fiscal constraints, I am proposing that the sum of N164,104,792,065.00 be provided for through virement or supplementation of the 2018 budget. The only president invited to the event marking the adoption of the ICC Rome Statute, he said: “Contrary to the tragic incidents that characterised the 2011 general elections in Nigeria, which necessitated preliminary investigations by the International Criminal Court, I assure you that all hands are on deck to prevent any recurrence of such tragic incidents. “A strong and effective ICC can also act as a catalyst for other justice efforts, expanding the reach of accountability. These could include serious cases of corruption by state actors that severely compromise the development efforts of countries and throw citizens into greater poverty. “If properly articulated, communication and awareness raising would engender trust and encourage greater cooperation of Member States with the Court and even encourage non-Member States to decide to become Members. Urging states that have not done so to accede to the Rome Statute of the ICC, so that it can become a universal treaty, Buhari said: “The goals and responsibilities of the Court are no doubt very challenging and daunting. But with the cooperation of all, coupled with the high calibre of judges and staff of the Court, the challenges are not insurmountable. Over 25 high-level state officials attended the event. They included the President of the Assembly of States Parties to the Rome Statute, O-Gon Kwon; ICC Prosecutor Fatou Bensouda, ICC Registrar Peter Lewis, UN Legal Counsel Miguel de Serpa Soares and others. But the opposition Peoples Democratic Party (PDP) seized the opportunity of the visit to highlight alleged rights abuses in Nigeria, asking the ICC to quiz Buhari. The party charged Buhari to report his administration to the court over alleged crimes against humanity and killings under his government.